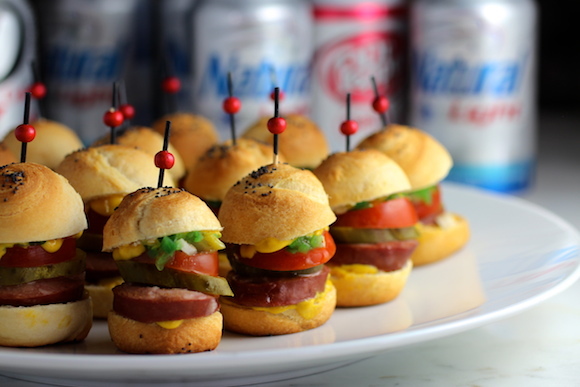 A recent trip back to Chicago was the inspiration for these Game Day sliders. 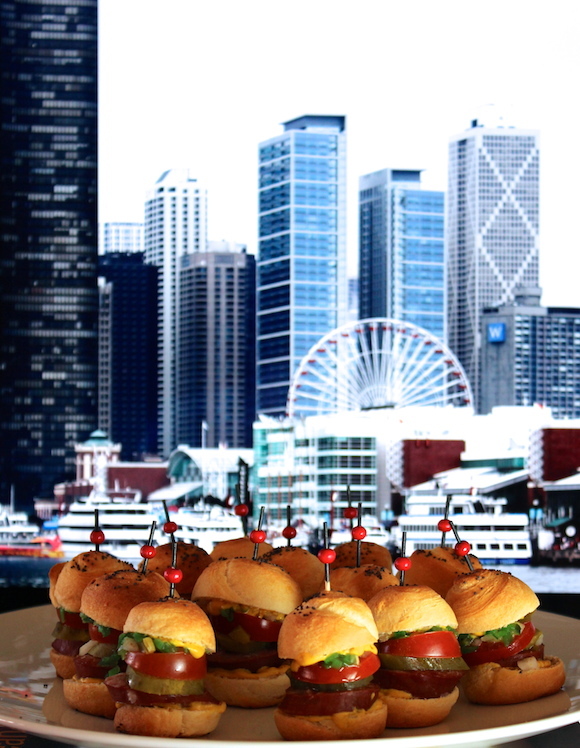 Chicago is a food lover’s town! In addition to the classic hot dog/polish sausage found all over the city (try Portillo’s, Superdawg, or Hot Doug’s to name a few) we recommend some of our old favorite Chicago foods – Lou Malnati’s Pizza, Carson’s Ribs, Joe’s Stone Crabs, a delightful Thai restaurant on Granville called Summer. 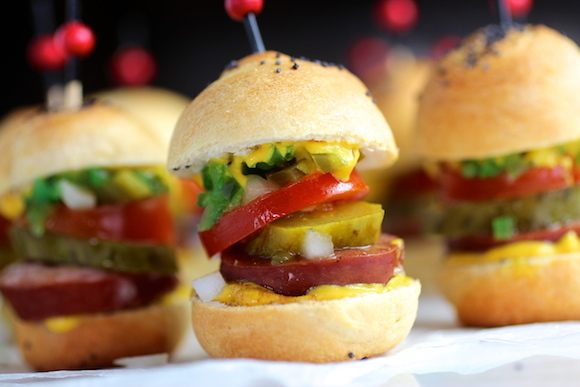 Chicago hot dog aficionados will go absolutely crazy for these little sliders! 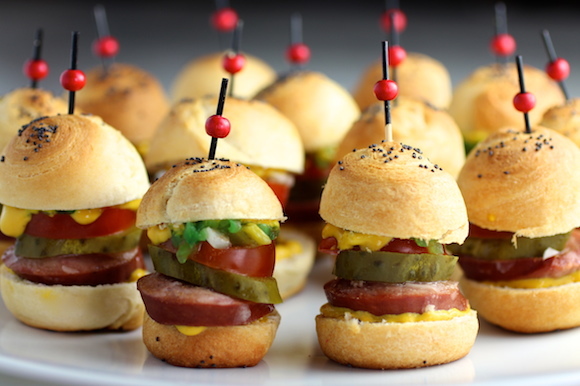 Da Bears don’t need to be in the Superbowl to serve these winning Chicago-style bites! 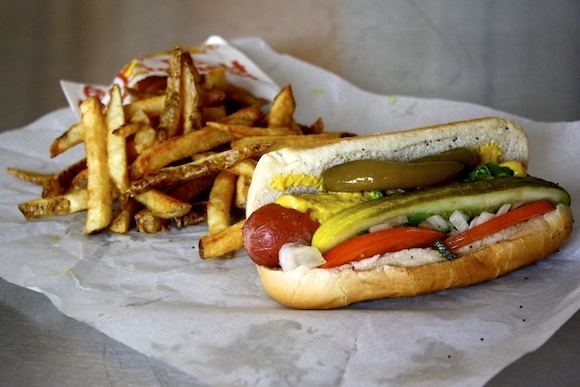 What Makes a Classic Chicago-Style Hot Dog? 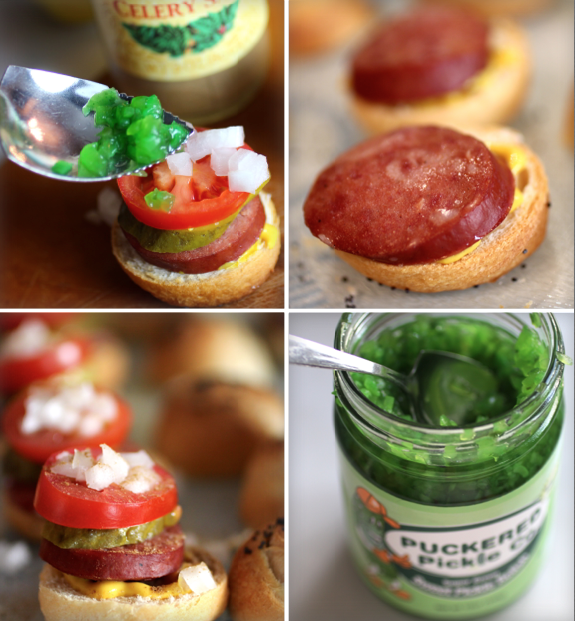 A Dash of Celery Salt – without this final condiment, it would not be a Chicago Hot Dog! By the way, any Chicagoan over 18 will tell you that putting ketchup on a Chicago hot dog is completely unacceptable. Save the ketchup for the fries. 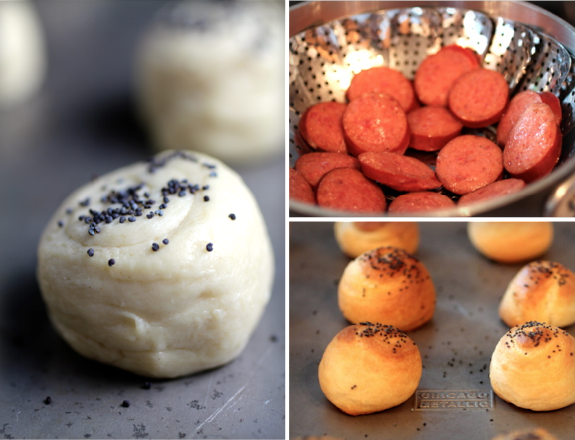 To make the buns – slice crescent roll dough into 1 ” strips. Roll up the strips to form bite-sized buns. 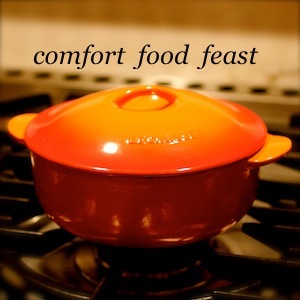 Top with poppy seeds and bake in a 375° oven for about 8 minutes until golden. Let cool then slice in half. Meanwhile, slice Polish sausage links on an angle. Steam until cooked through. 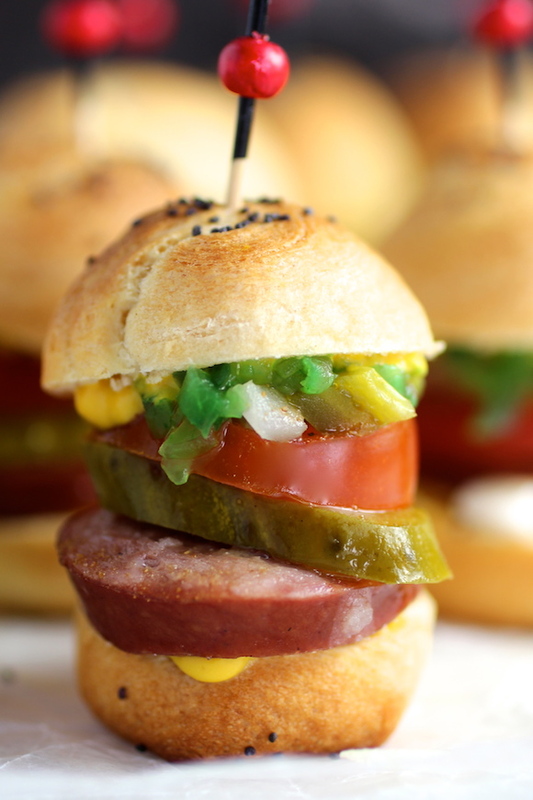 Place a slice of Polish sausage on the bottom bun. Top with a sliced Kosher pickle and cocktail tomato. Spoon finely diced onion and neon green relish on top of the tomato. Add finely diced sport pepper (or pickled jalapeño). Finish with a dash of celery salt. Cover with the top bun and secure with a pick. 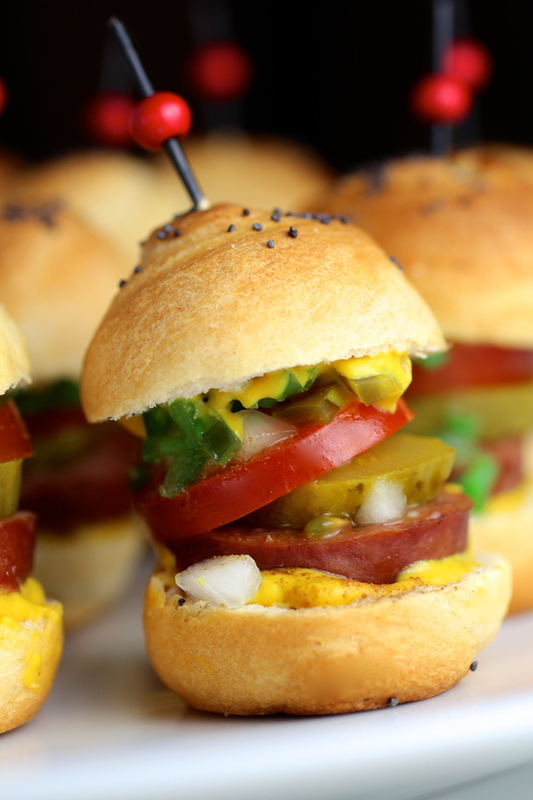 Small Bite for the Big Game!